We'll hear argument this morning in Case 17-9572, Flowers versus Mississippi. The only plausible interpretation of all of the evidence viewed cumulatively is that Doug Evans began jury selection in Flowers VI with an unconstitutional end in mind, to seat as few African American jurors as he could. The numbers alone are striking. In the first four trials, Mr. Evans exercised 36 peremptory challenges, all of them against African American jurors. In the sixth trial, he exercised five out of six of his challenges against African American jurors. If we look at the numbers of his — regarding his questioning, they are likewise stark. He asked of the struck African American jurors an average of 29 questions. He asked of the seated white jurors an average of 1.1 questions. But these numbers do not stand alone. 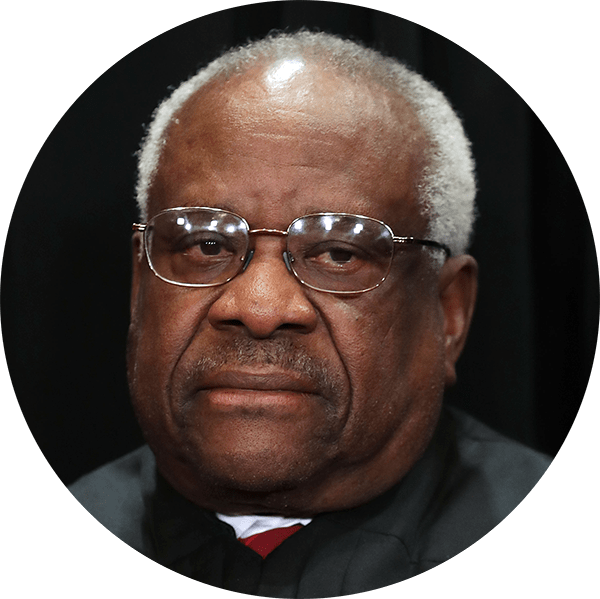 Mr. Evans was twice found to have discriminated on the basis of race in the exercise of his peremptory challenges against African American defendants in trials of the same case against the same defendant. In Flowers' second trial, Evans struck a black prospective juror because, according to Evans, he'd been sleeping during jury selection and was part of a gang. Neither claim turned out to be true. The trial judge ruled that Evans had struck the man because of his race and ordered him back on the jury. There is no one who has a record of discrimination, adjudicated discrimination, like that of Mr. Evans. The history of the case prior to this trial is very troubling, and you've summarized that. And it is — it is cause for concern and is certainly relevant to the decision that ultimately has to be made in the case. But if we were — and I'm not suggesting that this is the way it should be analyzed; this is not the way it should be analyzed — but, if we were to disregard everything that happened before this trial, and we looked at the strikes of the black prospective jurors as we would in any other Batson case, do you think you'd have much chance of winning? This case is all about whether the Mississippi Supreme Court properly applied the Batson ruling when it denied Flowers' appeal in 2017. Batson refers to the landmark 1986 Supreme Court decision in Batson v. Kentucky, which found that it is unconstitutional to strike jurors because of their race. Batson established a three-step test to determine if racial bias motivated a strike. 1) A defendant must show that a prosecutor looks to be removing jurors because of their race. 2) The prosecutor has to provide a race-neutral reason for each prospective juror struck. The evidence still is clear and convincing that Mr. Evans acted with discriminatory motivation in this case, even if we set aside his history and his — the reasons that he was unwilling to tell the truth in previous cases. I mean, if we look at — at the jurors in question one by one, there are aspects that I think would cause any prosecutor anywhere to want to get that jury — that juror off the jury. You know, there's a juror who said that she — she couldn't view the evidence objectively. She couldn't make a decision based just on the evidence. There's one who said that she — because of her acquaintance with members of the Flowers family, she would lean toward the defendant. Another one who admitted that she made a false statement on her juror questionnaire because she'd say anything to get off the jury. I mean, do you think those are — those are Batson claims that would likely succeed if this troubling history had not preceded this case? This Court has demanded a sensitive inquiry into all of the circumstances that prove racial discrimination. And, again, even setting aside his history, there are many circumstances here that suggest racial — racial motivation. This case centers on step three of Batson, which requires a "sensitive inquiry" into the evidence of discrimination. Nobody disputes that steps one and two of Batson were performed correctly. First, as I already said, there is an extraordinary record of disparate questioning. And the disparate questioning is not limited to those numbers but to the tone of his questioning. I believe that one of the — the responses that you quoted came from an extremely aggressive pursuit of an African American juror who initially said she would not be troubled and ultimately said it's possible. Now, of course, a prosecutor could take that approach with every juror. If he took that aggressive approach with every juror, then there would be nothing to complain about. But he did not take that approach with white jurors. Not only did Evans ask black prospective jurors more questions, but he asked white ones hardly any. But what — what's wrong with that? Again, putting aside the reasons to be suspicious, if a juror says, I don't — I didn't work — I don't work closely with the defendant's sister, I don't work close to the defendant's sister, and the prosecutor has reason to suspect that's not true, is there something wrong with the prosecutor going to the human relations person at that place of employment and bringing that person in to testify they actually work nine to ten inches apart? Is something wrong with that? There's nothing wrong with that if there was reason to disbelieve the juror. The juror volunteered that she knew her, that she worked in that place. There — Mr. Evans cited no reason that he should not believe her. But, also, what happens after that is somewhat suspicious, which is he brings someone in to say: Well, they worked very close together. And that someone says: And I could produce the evidence. It's worth noting here what a truly unusual measure this is. Cunningham is just a woman who got a jury summons. She reports for jury duty. She gets asked some basic biographical questions about where she works and who she works with. This type of exchange happens many, many times a day in courthouses across the country. But here's what almost never happens: The prosecutor calls in a co-worker of the prospective juror, who's just one in a pool of more than a hundred. The co-worker comes down to the courthouse, and the prosecutor puts her on the stand for the sole purpose of calling the prospective juror a liar. And when asked to produce the evidence of that, the records that produce it, he doesn't come back with that evidence. What is your strongest strike? Most Batson cases are decided on one or two dubious strikes. 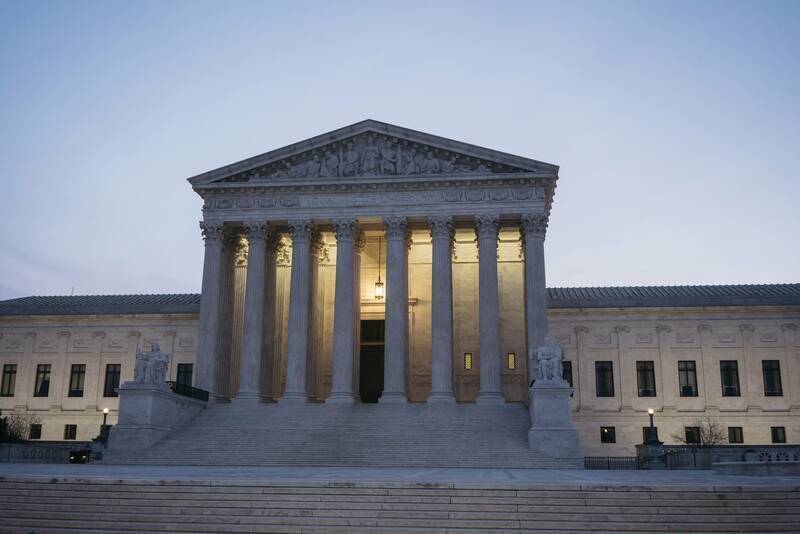 In two recent cases — Snyder and Foster — the Supreme Court ruled that it is unconstitutional to remove even a single juror on the basis of race. No, he brought the witness back the next day. Well, actually, we have found that, in the record with a state exhibit on it, a judgment that shows that her wages were garnished. Well, we can look at that. We can look at the judgment. But the fact remains that she was — this was — one of the victims was the proprietor of — of a family-owned store, right? That's a family-owned store? And the store — the store sued her? Well, the store sued her. The victim herself had not sued her. Well, but the store did. It's the son-in-law later that sued her. But, normally, wouldn't that — you know, again, put aside the history. We — but we can't — in the end, we can't do it, but if you did, don't you think a prosecutor or any attorney would be very wary of having a — a juror who had been sued by one of the parties? I think that if this prosecutor had pursued bias with respect to white jurors as well as African American jurors, and then made that strike, then that would be a strike that would be a permissible strike. But, in fact, he didn't do that. Alito drives pretty hard here. A juror who was sued by the victim's family is not a good look. So, first of all, I do want to notice that this was one of four victims. It does seem rather unlikely that a person in a quadruple homicide case would be biased by a subsequent suit of one of the relatives. But, even if we thought that that were true, one would have imagined that the prosecutor would have inquired about bias with respect to the other victims. Wasn't there a question asked of the entire array of whether they had any debts to the — to the store? Yes, but there was no question asked about suits or disputes with other — with the other three victims, nor was there an inquiry into bias that I think any rational prosecutor would have made if concerned, truly, about bias, which was lawsuits, prosecutions of the jurors and their close relatives by his office. Did he even ask Ms. Wright how she felt about that suit and whether it would affect her in this case? In fact, she was asked about the suit. And when she was asked about that suit, what she said is that she had paid the debt and that she had no ill will toward the Tardys. A very common question in jury selection is, "Would that affect your ability to be fair?" The judge or lawyers will ask about a detail of a juror's life and then ask if it would make the juror unable to be fair. If a juror says yes, then she can be removed for cause. And, indeed, if we follow up on this reason, I think this reason is especially suspicious because he cited the same reason with respect to Edith Burnside. So, first of all, he said — with respect to Edith Burnside, he repeated the false statement that her wages had been garnished, despite the fact of having been called by the trial court on it the first time, and then he said that he was striking her in part on that basis. Can you go back, and — and just slow down a second? 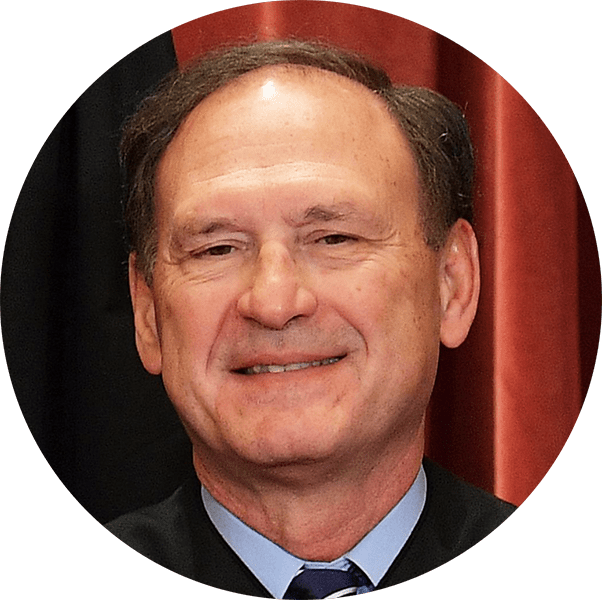 You said to Justice Alito that that record in — that state record that says something about garnishment, that the state courts found that that was not adequate. Could you explain why not? — that — it's not a — it's a form in the record, but what does it mean? The form in the record reflects a suit, and there's a little check by garnishment. But, if you look at the order at the end, there is no garnishment order. The trial court looked at that and the Mississippi Supreme Court looked at that. And I think they are the experts about what their documents mean. And they said there was no garnishment. What if — what if it turned out there were a garnishment? How would that affect your argument, if at all? Well — well, then that would mean that he only made two false statements about Juror Wright. The two false statements were that she knew Flowers' sister, Cora, and that she knew Flowers' sister, Sherita. So then there would be two. But, if I could go back for a moment to Ms. Burnside, when he repeated the story, I think the — the pretext of this reason is apparent when we look at Ms. Burnside. Ms. Burnside worked for Ms. Tardy. Ms. Burnside worked for Ms. Tardy, caring for her mother. Ms. Burnside was helped during her divorce by Ms. Tardy. So whatever she might have felt negative about the son-in-law, the feelings she would have had about the victim herself could only have been positive. And yet he cited this same reason. Didn't Juror Burnside also say repeatedly she didn't want to judge anybody? And you think that's not a legitimate reason for — for striking a juror who's going to have to judge whether someone who's accused of a serious crime is guilty or not? That is a legitimate reason for striking a judge — I'm sorry, for striking a juror. But the problem — the problem isn't whether the reason is a legitimate reason but whether the reason was pretext. And when we look at what he did with respect to citing the relationship having been sued by the Tardys, it looks like everything he's saying is pretext. And if I could also go back to the rest of your question about Juror Wright. So there were three misrepresentations with respect to Juror Wright. There was also — they also cited the number of defense witnesses that she knew. But the prosecutor, Doug Evans, did not question prospective white jurors Waller, Lester, Blaylock, and Fields about their relationships with witness — with white — with defense witnesses, nor did he strike them when he had an opportunity to do so. But isn't it true she also worked with the defendant's father? She worked in the same store, right? She worked in the same store. At the world's smallest Walmart. — that's what the trial court described it as. But — but it is important to notice that when she was asked does he still work there, she didn't even know if he still worked there. Yeah, but did she still work there? I thought she had left? Compare her with Pamela Chesteen. That comparison is the one that I'm most interested in. I was about to do that. And so I think that it's true that working with someone under some circumstances might produce bias. It is interesting that the only thing she said that might suggest the closeness of the relationship is that she didn't know whether he still worked, and the — and Evans did not ask about the closeness of the relationship. She said that she knew the father as well. — isn't that — that relationship of a bank teller to someone who comes to make a deposit different from someone who is a coworker and it would encounter someone in the work set — setting on a daily basis? It is a different relationship or it could be a very different relationship. We can't actually even know the closeness of either relationship unless there was inquiry. But Doug Evans did not make that kind of an inquiry. Indeed, what he said to Juror Chesteen is — and that was a purely professional relationship. He didn't ask whether she had a close relationship, whether she was worried. He instead presumed, reassured, everyone that she did not. Q: You have stated that you knew Mr. and Ms. Flowers and I think [Curtis' relative] Nelson Forrest. Is there anything about those relationships that would affect you in this particular case? A: No. I've waited on them all at the bank as my customers. Most of the Flowers family. Q: So it's just strictly ... just a working relationship? 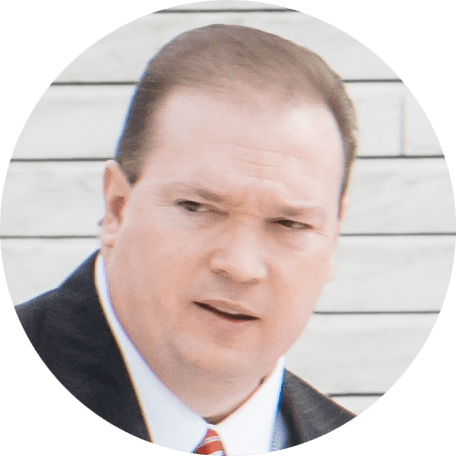 All the — all the — the questions that we've been addressing here are the same sort of questions you would get in a typical Batson case, looking at the circumstances of the potential jurors that were struck in this case. But, I mean, of course, as — as my colleagues have recognized, the case is unusual because you have the extensive history. And I think that's probably why the case is here for — for review. And I'm interested, because, obviously, the rule we adopt will apply in other cases, how far your argument that we need to look at the past history is — is pertinent. If — if the prosecutor had — had one Batson violation in his 30-year career, 20 years ago, is that something that should be brought out and pertinent in the assessment of the current Batson challenges? 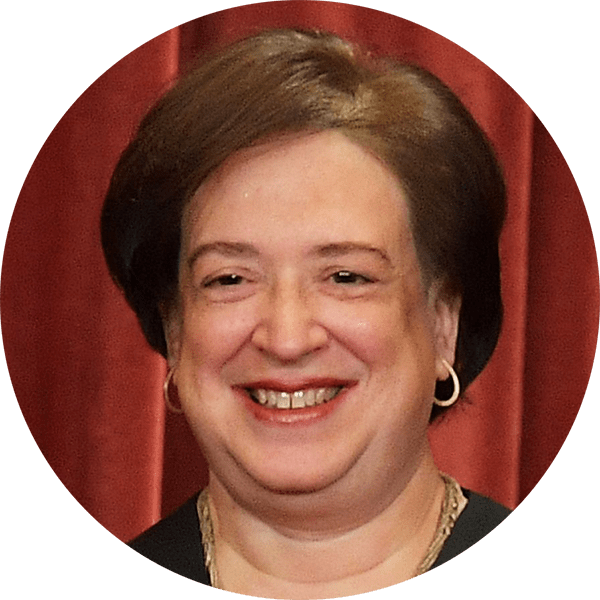 Mr. Chief Justice, may I say one thing about Carolyn Wright that I don't want to forget? The other thing that's noteworthy about her is that she put on her death penalty questionnaire that she was strongly in favor of the death penalty. So, when we look at her as a whole, a — a — a prosecutor who was looking in a colorblind way would have been attracted to her. But now — now for your question. And I apologize, but I was worried I would not get back to that. No, no, I know it's — you're — you're fighting the hypothetical. My question is 30 years, a Batson violation 20 years ago, is that pertinent to the consideration in the current case? There may be some interesting subtext to this line of questioning. 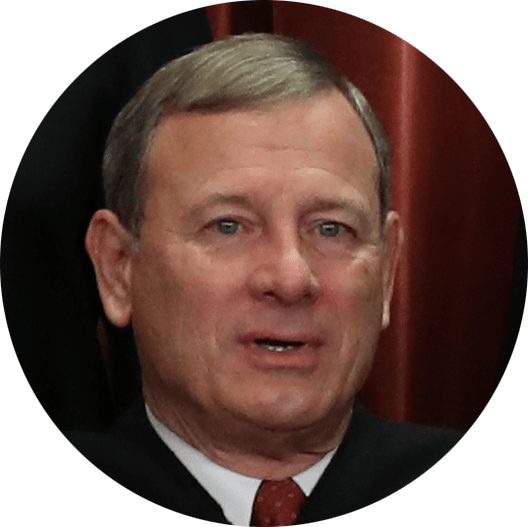 Roberts is essentially asking, "How narrowly can we rule and still rule in your favor?" Put another way, "If we say Evans violated Batson here, do we have to say that every prosecutor who has even one Batson blemish on his record can never be believed again?" I'm sorry, I didn't understand the question then. Yes, it is pertinent, but it's weakly probative. And she essentially does say no. Probative is legal-speak for evidence that helps prove a claim. What she's saying is that one Batson violation 20 years ago doesn't prove a whole lot. 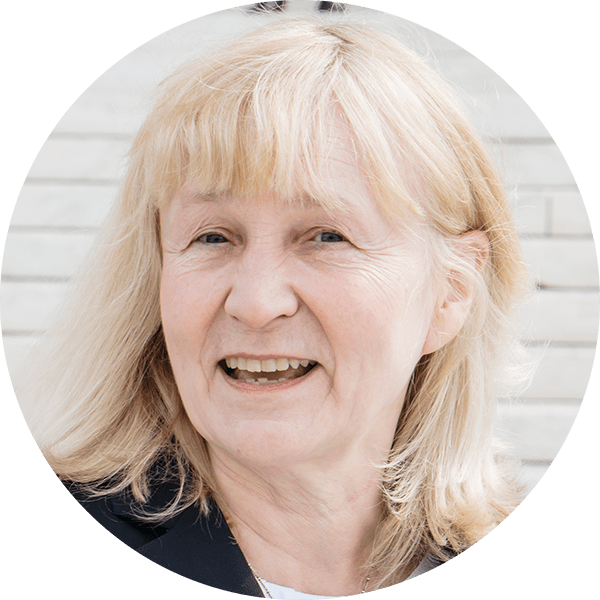 So I think, when we conduct a consensitive inquiry, we look, as we would in a criminal case, we look at how recent a fabrication has been, whether it's on a relatively similar matter, whether the person has the same motive. So a case that occurred 30 years ago would be very different in terms of motive. It also would be quite different in terms of the established law of this Court. So someone who violates Batson before it's announced or someone who violates Batson immediately thereafter, that's less probative than someone who has done so repeatedly. So — so what is — what is the rule you would have us adopt as a general rule, not just in a particular case as extreme as this one? The general rule is a rule that you have already adopted, which is that, in Stage 3, every factor that bears upon credibility is relevant. Johnson's basically saying, "Don't stress. I'm not asking you to change any rules. Just enforce the one you already have." So that's the general rule. And I suppose if we say that in another way, the Mississippi Supreme Court asked only the question of is there a juror left — is there a reason for this juror left standing that is not contradicted by the record and exactly matched by a white juror. And that's not the right rule. The right rule is a sensitive inquiry. All right. I want to pursue the Chief Justice's question just a little bit further so I can understand what you'd have us do in the next case. Let's just suppose this case, trial 6, was perfect and the strikes were without taint otherwise, but we have this history with this prosecutor. Would that be a problem still, or would there be no Batson violation in those circumstances? Right. You're fighting the hypothetical again. — yet we have this prosecutor with this history. What then? How should the Court assess a case like that? If there are no other indicia of discrimination, then the defendant has not met his burden of proof by proving prior discrimination. Like Roberts, Gorsuch seems to be trying to figure out how expansive or narrowly circumscribed a ruling Johnson's asking for here. Okay. So we need discrimination in this trial in order to have a Batson violation? Okay. All right. That's helpful. Thank you. My question was about the history. I thought that Swain had said that the history was relevant. In fact, Swain said history was the only way you could prove a violation. What Batson did was to say no, you can look even at the individual case. But Batson, as I read it, did not say you no longer take account of the history. Your reading of Swain and how Swain and Batson interact? Kavanaugh is referencing the 1965 ruling in Swain v. Alabama. In Swain, the court said that a defendant could only prove that a prosecutor had used his strikes unconstitutionally if he could show that the prosecutor had a pattern of discriminating in many cases, over time. Swain set an almost impossibly high bar for defendants. Batson replaced Swain in 1986, in an attempt to fix the "crippling burden of proof" set forth in Swain. I think that's entirely correct, Your Honor. Even in Swain, history was relevant. And to look more broadly, in Arlington Heights, this Court said that history is relevant. APM Reports conducted the kind of far-reaching study of jury selection that most defendants could never afford to do. According to our analysis of 225 trials, Evans and his assistants removed black potential jurors at almost 4½ times the rate they removed white potential jurors. This work was cited in amicus briefs to the Supreme Court. So — and in Miller-El said that history was relevant. — the court said it took account of the history. So what are we to make of that? Well, if there were — if the court had taken account of its — of the history, it couldn't have come to this conclusion. And I think there's many reasons in the opinion to believe that they did not. They said, considering the history, it doesn't alter our opinion, and they pasted in their prior opinion that was history blind. They also said his — his history does not undermine his stated reasons. Johnson's throwing a little shade at the Mississippi Supreme Court here, and she's not exaggerating. The Mississippi Supreme Court first denied Flowers' appeal in 2014. 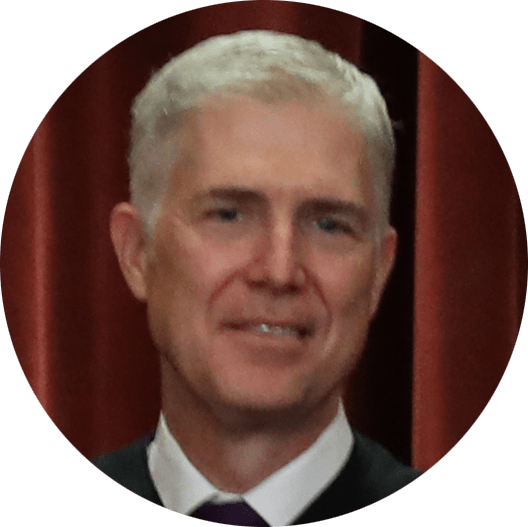 At that point, he appealed to the U.S. Supreme Court, which sent the case back down to the state court with instructions to look at it again. That's wrong. It undermines those reasons. It may or may not be sufficient, but a history of will — of a desire for a — an all-white jury, a history of willingness to violate the Constitution, and a history of willingness to make false statements to a trial court, those things in the past with respect to at least three other jurors, that does undermine it. And then I think, when we look at what they actually did, there is no point in which they say: Yes, we are more skeptical of the reasons that he stated because he was dishonest before, or, yes, when I look at — at the false statements he made here, the eight false statements he made here, those match with false statements that he made before. They never did that. So I think they did not consider his history, nor did they consider anything else that would be consistent with this Court's insistence that we look at the totality of the circumstances and conduct a sensitive inquiry into. But I think, you know, it is — actually, the relevance of the disparate questioning is not merely to ask how many questions this juror was asked. So it might indeed be as the Mississippi Supreme Court said that, with respect to some African American jurors, it was legitimate to ask them more questions because more of them knew Flowers' family. But the — the point still remains — and this is the point that this Court made in Miller-El — disparate questioning of even another juror is relevant. It does suggest that the prosecutor is looking for reasons to strike an African American juror, as opposed to being interested in bias or death penalty attitudes or anything else. All of them were African American. And when defense counsel said he's investigating African American jurors, there's no evidence that he investigated anyone else. He said nothing. So he had an opportunity to say, oh, I've investigated everyone, and he did not say that. And can I ask you about the disparate questioning? Because you referred to something which struck me when — as I read through all of this. This is — unlike some Batson cases you see, it's a very small town where everybody knows everybody, apparently, or many people know many people, and it's a largely segregated town, where you might think that African Americans knew more African Americans than they would whites or vice versa. So does that account for some of the differential questioning? In other words, just sort of looking at the environment and saying, I have to push more on whether X knew Y because, given the circumstances of the town, X might very well have known Y? The Mississippi Supreme Court said that it accounted for some of the differential questioning, and I think that's correct. There are more African American jurors who report relationships with defense witnesses or the defense family members. Such — when you say "such relationships," were they relationships because of working at the same place or living in the same neighborhood, in the case of the white jurors? They were — none of the relationships were working at the same place. But when — when he was asked — when — when they were asked in group voir dire about whom they knew, white jurors responded that they knew defense witnesses, and they were not questioned about those witnesses. So we can't really know what the nature of those relationships are if we don't ask questions. Do you — do you have those names or is — is that in your brief someplace? I don't remember. It is in the brief, but it is Waller, Lester, Blaylock, and Fields, as well as Chesteen. I found it strange, but maybe you can — or unusual, I should say, not strange — unusual that there were some white jurors who had people accused of crimes in jail, relatives accused of crimes in jails. Were there any questions about how that affected those white jurors? No, there were no questions about that at all of three of them and I think a very brief question about — for two of them. And I think that goes to the question of, was he really investigating bias when he asked this question about being sued by Tardy Furniture? If you're really investigating bias, you would be concerned about bias against your office. And he was not interested in that. With the Court's permission, I will reserve the rest of my time for rebuttal. The history in this case is troubling, but the history is confined to this case, and, as Mr. Chief Justice pointed out, it is unusual. There are — this is the sixth trial in this small town, a small town of approximately 5,000 individuals. The questioning of whether the makeup or the limited number of individuals in the town was one of the reasons for follow-up questions is accurate. At the outset, let me say that the Mississippi Supreme Court's decision in this case was commensurate with Batson and its progeny. And I would return to Justice Gorsuch's question of if we disengage this troubling history — and I agree, I'm not suggesting that, as Justice Alito said — however, if we take that out of the case, we — we don't have any taints. — a question of the Mississippi law? Could the attorney general have said, you know, enough already, we're going to send one of our own people to try this case, preferably in a different county, where so many people don't know so many other people? Could he have done that? Statutorily, the Attorney General's Office is allowed to assist, is allowed to take over, but only upon request by that district attorney. So that was not an option in this case. We were not so requested. We fact-checked this assertion, and the gist of Davis' response is correct. However, it's not a statute that bars the AG's office from intervening in a local criminal prosecution, but a Mississippi Supreme Court precedent originating in 1930, which says that "the powers of the district attorneys can neither be increased nor diminished by the Attorney General." You — you said if — if we take the history out of the case. We can't take the history out of the case. It was 42 — 42 potential African American Americans and 41 are stricken, right? Kavanaugh appears to be incorrectly citing Flowers' brief, which says that Doug Evans struck 41 of the 43 black prospective jurors he had the opportunity to strike in Flowers' trials (all, minus the fifth trial, for which Flowers' lawyers say information is unavailable). We're not quite sure where Flowers' team came up with the number 43. Looking at our own records for Flowers' first, second, third, fourth and sixth trials, APM Reports found that Evans had the opportunity to strike 47 black prospective jurors, not 43. We agree that he struck 41 of them. Across all six trials, APM Reports found that Evans faced 55 black prospective jurors and struck 45 of them. We have to — that's relevant, correct? That is relevant, yes, Your Honor. The — as this Court has held in Miller-El, history is part of the consideration. So you agree that it's not only the adjudicated Batson violations that are relevant but also the number of strikes such as Justice Kavanaugh listed? I do with qualification. There — the strikes were unique. The strikes in this case are supported in the record. Each of the jurors that were struck either worked with a relative, were related, or knew, intimately, family members, the defendant or his family members, up to and including one juror who lied on her questionnaire and then admitted to lying on the stand. You have a very strange position on potential jurors who lied because there was the case of white juror, Huggins, who said he had no knowledge of the Flowers case when, in fact, he was on a 2007 voir dire panel. RBG is referring to Burrell Huggins, a white prospective juror who said that he knew little about the Flowers case but who, as the defense later pointed out, had in fact been summoned for jury duty in a previous Flowers trial. And you say: Oh, well, that doesn't matter that — that he lied because he didn't admit to lying. I think if someone lied and didn't admit to it, that would be a count against that person, rather than in that person's favor. And — and the trial court in this case made the distinction that the juror who was struck for lying on her questionnaire admitted on the stand that she lied intentionally, which was not the case with Juror Huggins. And it would seem, it appeared, that he — his participation in the panel, and he was dismissed long before he got anywhere near selection, that he either forgot that or it completely left his mind at the time he was initially questioned. But let's go back to that. If we're looking at whether this is pretext, Mr. Evans was willing to give an excuse to this juror and keep him, despite the fact that there was direct evidence that he knew about the case. He was willing to accept a white lie, but not a truthful answer under oath in front of a judge. Doesn't that suggest pretext to you? 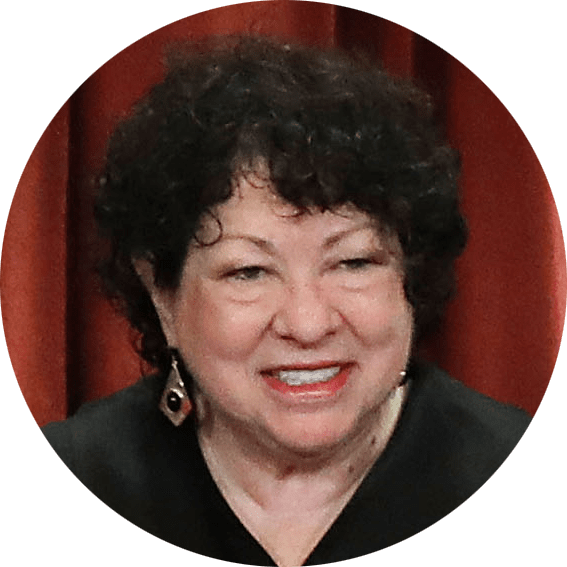 Again, Justice Sotomayor, the — the issue as it reads from the record is that the juror who lied on her questionnaire expressly admitted that she lied for the sole purpose of getting off the jury. — I have to tell you, if that were the case, I — I don't think one could take one juror and not push them on those questionnaires and come up to an intentional understatement or overstatement. All right. Let — let's look at them. But you do have history. Trial 1: Five black juror possibles, uses peremptories, strikes all five. Trial two: Five black jurors possible, uses all five, strikes all five blacks. Okay. Trial number three: There were 17 black possible. He uses only 15 this time. Why? Because he ran out of peremptories. He only had 15. All right. Fourth trial: 16 black. He only struck 11. That's because he only had 11 peremptories perhaps. All right? Now we come to this trial with that background. Okay. And I don't think it's going to take much once you have that background. So now let's look at one black juror, one white one, potential. Okay? Let's call them 1 and 2. Both are women. Both are in their mid-40s. Both have some college education. Both strongly favor the death penalty. Now the potential black actually has a brother serving as a prison guard. Now you would have thought that might have favored the prosecution in the prosecutor's mind. Okay. So that's one difference. I don't think that cuts in your favor. Then have they ever had anybody arrested, you know? No, neither has. And do they know people in the case? Yeah. They each know something over 30 people, same, same, same, same. Now is there a connection with the Flowers family? Well, the black juror did, in fact, possibly work at some distance, we don't know quite what, with the father at Walmart, and the white one knew his father, mother, sister, cousin, through her work as a bank teller. And then we get the last thing, which the Mississippi Supreme Court thought was so crucial, is that the black potential juror was sued for overdue credit, and maybe she paid the garnishment of $30. I don't know. But the white juror had been a friend of the victim's daughter in high school. Okay? There we have it. Potential black, potential white. And we have the whole background. Now, looking at that, you tell me, what was the difference as to why he could strike, if that background, Carolyn Wright, the potential African American juror who was Number 4, and Pamela Chesterton, the potential white American juror who was Number 17. What's the difference? What's the difference given all those similarities? Juror 14, Carolyn Wright, was struck because she was sued by Tardy. Juror 14, Carolyn Wright, worked with the defendant's father, Archie, at Walmart. Wait, wait. You didn't add that Juror Number 17 had been a friend of the victim's daughter in high school and also knew Flowers' father, mother, sister, and a cousin through her work as a teller at the bank. Wright's relationship with the father was a work relationship, an employee/employee relationship. Chesteen was a bank teller, admitted that she just saw them coming in through the bank. So this was a — an employee and customer relationship, which the Mississippi Supreme Court made a distinction. In other words, it was closer, the first relationship? And the record when I read that will bear out that the first one really was a closer relation than seeing them every week or whatever as a bank teller. Will — will it say that? I don't think it will because I think they said, well, how closely physically did you work with the — the father? And there was no answer to that question. The — the record will bear out that the district attorney only struck those individuals that worked with members of his family. And that was consistent. Okay. So that's the reason. The distinction is when I go back in the record, I have to say, knowing Flowers' father, mother, sister, cousin through the work as a bank teller is not a good reason for striking somebody. But working with Flowers' father at some unknown distance at Walmart is. And that's the crucial difference I will find. There is a difference there, but is there anything else? Because, after all, I have the history, plus — plus now I've narrowed it down — that's why I asked — I've narrowed it down to that being the difference. Again, Justice Breyer, I would also say that one of the differing things was that she was sued by Tardy. Right. And so I also should look at that and then decide whether that really is more significant than the fact that Number 17 was friends with the victim's daughter in high school. You know, sometimes you're friends with your high school — your high school pals you don't forget. So — so I — so those are the two things I should look at. Is there anything else? I think that's enough, Your Honor. — in many respects, Mr. Davis, Ms. Wright is a — is a perfect juror for a prosecutor. Right? She is — she strongly favors the death penalty. Her uncle is a prison security guard. Her relative is the victim of a violent crime. Except for her race, you would think that this is a juror that a prosecutor would love when she walks in the door. Isn't she? In the Miller-El case, the prosecution removed a black prospective juror, Billy Jean Fields, who was a strong supporter of the death penalty. In its decision, the Supreme Court said that Fields would have been a great juror for a prosecutor seeking a death sentence. Thus, it seemed likely that race was the real motivation for striking Fields. Not if she works with the defendant's family and not if she was sued by the workplace of one of the victims. And — and that's the distinguishing factor here. I don't want to imply, I'm sorry, that you have directed me to the two relevant parts of the record, and before I make up my mind definitely, I will read those two relevant parts, both sides. Okay? Again — counsel, again, we're sort of conducting this as if it were one — one case. And in terms of a broader rule, do you — do you recognize or do we recognize in our precedent any restriction on the prior history that can be brought up with respect to a current — current case? No, Your Honor. And — and far be it from me to presume the full basis for the grant, but I certainly see that as one of the issues before the Court, is, as Your Honor asked, how far are we to go? And — and — and what does it matter? What — what part does that history play? But my point is do you — is there anything in our precedent that suggests that there ought to be a limitation on looking to the history of the prosecutor involved? This is the flip side of the question Roberts posed to Johnson earlier. He's basically asking, "Is it even possible for us to look at this as narrowly as you're asking us to?" There's no limitation on the history. I think certainly the precedent says that you have to consider it. I'm not aware of any language in Batson and its progeny for this particular circumstance where we have six trials by the same district attorney. I'm not aware of any. This is a unique situation in that regard. 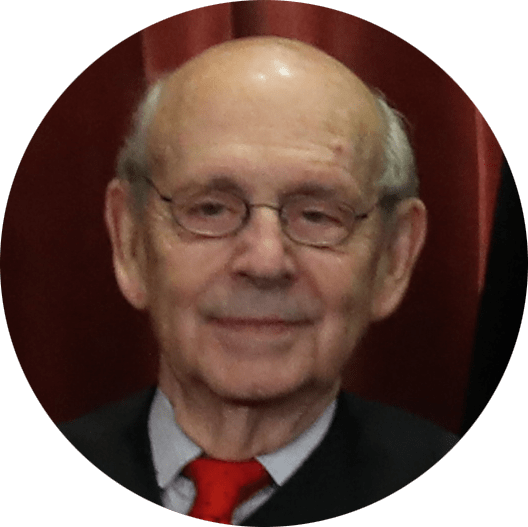 And — and along those lines, Justice Breyer's pointed out a dichotomy that in other circumstances might be explicable by an innocent reason. But, if all of the history is relevant, as you acknowledged, how — does that — what light does that shed on what otherwise might appear to be an innocent strike? And when — when should — what rule would you lay down — I know that's hard to do, but we're presumably taking cases to guide future disputes, not just to resolve this one. How — how would you — how would you write that rule as to the relevance of the past information with — when we're looking at the current trial? Now Gorsuch jumps in to give Davis a chance to resuscitate his case. If the court should limit how much of a prosecutor's history it takes into account — which needs to be Davis' argument — then Gorsuch wants to know what that limit should be. What's the new rule Davis would propose? In responding to that, Your Honor, let me say that when we use the word "history," we are limiting it to this case, this district attorney and his over 25 years of experience, having searched for additional cases and no cases cited by the Petitioner, outside of this case, in regards to a Batson violation. So the history is limited here. The question then is what to do in a case like this. How much does the specter of those two prior violations come into play in the — in the analysis in this? This is true, in a strict sense. In the Flowers' record, which is all the court can consider here, there's no other history. Is it just the specter of the two violations? Weren't there two cases that were overturned or — in which prosecutorial misconduct — at least the first was overturned on prosecutorial misconduct. They didn't even reach the Batson challenge. But doesn't that tell you something about this man's passion for this case? I — I don't even need to call it anything else, but doesn't that tell you how you should be looking at this case? But he didn't — I understand he didn't ask the attorney general to step in, which he could have, to prosecute the case. But I understand he lobbied two legislators to try to change the venue, legislatively. Is that correct? That's my understanding, Your Honor. So he could try the case? Well, try the case outside of Montgomery County. Instead of getting the attorney general to try the case? — said you can't do that. Sorry, in Batson, we held that a prosecutor cannot state merely that he challenged jurors in the defendant's case — of the defendant's race on the assumption or his intuitive judgment that they would be partial to the defendant because of their shared race. That was really the critical sentence in Batson, and the dissent disagreed with that. The critical change. You can't just assume that someone's going to be favorable to someone because they share the same race. And when you look at the 41 out of 42, how do you look at that and not come away with thinking what was going on there was what the dissent in Batson said was permissible, that the majority said was not permissible, that there's a stereotype that you're just going to favor someone because they're the same race as the defendant? I respectfully, in this case, in no way agree that there was some prior determination made by the district attorney that — that because of this person's race, they were not going to be favorable. But I — I guess I don't understand how you can say this. In this case, there were three adjudicated Batson violations. Two. The — Flowers III and Flowers II both had adjudicated Batson issues. That the trial court was aware of that was evident. The same trial judge presided over the fifth trial. And in this case, we had the same defense counsel. Counsel moved in motions that were offered in the fifth trial up to and including, in Joint Appendix 42, Motion Number 57, which was a motion to bar prosecution from exercising peremptory strikes at all or at least from exercising them against non-white minority members. Judge Loper adopted his prior rulings. His ruling on that motion also included caution, caution to both parties that if there's any objections or challenges based on demeanor or based on a juror's appearance, that if it wasn't in the record, he was not going to consider it. — couldn't we say of this — go ahead. Did you just say that the same judge who tried the fifth trial also tried the sixth — the sixth trial? And wasn't he the judge that ordered Mr. Evans to prosecute the sole holdout juror in the fifth trial? And just like that, Sotomayor blows up Davis' argument that Loper deserves deference, noting that he's the same judge who sought the prosecution of the one juror who voted against guilt in the fifth trial, James Bibbs. After Judge Loper declared a mistrial, he accused Bibbs of lying while under oath in voir dire. Then Loper did something almost unheard of — he had Bibbs arrested on perjury charges. And didn't Mr. Evans do that? And the attorney general take over the case and say there was no basis for that prosecution? There were two jurors that were bound over to the grand jury on the basis of perjury. One pleaded guilty to that, and the other was nolle-prossed. Again — and that was handled by the Attorney General's Office, not my division but another. But I think the attorney general nolle-prossed it because there was no basis for that prosecution. I don't know that there was not a basis. I just know that it was nolle-prossed. Well, could we say in — in this case, because of the unusual and really disturbing history, this case just could not have been tried this sixth time by the same prosecutor? That he — that he just cannot — in light of the history, you just can't untangle what happened before from the particular strikes in this case? But, again, Your Honor, you know, hindsight is 20/20. I — I was not involved in any consideration on that. Had I been, it — it might have been a suggestion of mine that that be the case, but that wasn't. And — however, the record in this case by no means supports the conclusion that the Mississippi Supreme Court's decision ran afoul of Batson or its progeny. And — and if I may, I'd like to return to what I was saying about the trial judge's being aware of the history. Specifically, Judge Loper said, at — the transcript at page 314, "I know what Flowers III said." He then cautioned the state: "I'm going to look very closely at this case." Again, the judge acknowledging that he would be diligent in making sure the same type of error did not occur again. But what — well, how closely did he look? I mean, let's talk — talk just about the questioning in this case. The numbers themselves are staggering, the number of questions that were asked to African Americans versus whites. But more than the numbers, if you look at the — the way — what these questions were targeted to do, let's take, for example, the questions on the death penalty. This prosecutor would question a white person who said that he or she had reservations about the death penalty, and the questions are all designed to rehabilitate the person. You know, the prosecutor would say: Well, if the law required you to do it, you could follow the law, couldn't you? And then the person would say yes. But if an African American said that — that he or she had qualms about the death penalty, the prosecutor would say the exact opposite. The prosecutor would say something like, well, it would be really hard for you to apply the death penalty then, wouldn't it? So, in every case, this kind of disparate questioning, you know, it — it looks as though he's — he's designing, he's trying to create a record for striking black jurors that — and — and — and for distinguishing black jurors from white jurors by means of his questioning, which is sort of, you know, completely opposite from the questioning that he gives to whites. Well, I think what I'm saying is it's not two jurors, one white, one black, says, I have reservations about the death penalty, and he says to the white one: But you could follow the law. And he says to the black one: Well, I don't know, I guess you can't follow the law. "So as the judge said, if the facts in this case justified it, you feel that you could give the death penalty?" This framing is designed to rehabilitate her as a juror. "Your beliefs are just so strong against the death penalty that you couldn't even consider it as a possible penalty for anything?" Respectfully, Your Honor, that's not the case as I read the record. The — each juror that indicated they were against the death penalty is certainly one that, in a general context, that a prosecutor would not want to be on the jury. And, of course, we had in this case vacillation amongst these jurors, for example, Flancie Jones, who on her juror questionnaire said she was strongly against the death penalty and then, during questioning, said she could consider it, but then went on to admit that she lied on her juror questionnaire. So the questions that the district attorney asked were to follow up on what was on the juror questionnaire with regard to their statements therein regarding the death penalty. In this case, the record itself shows that the district attorney offered valid race-neutral reasons for each strike. Each strike was considered by the trial court, who had made aware — made the parties aware of — that he was aware of the history of the case, and the record supports that all the jurors that were struck were struck because they were either sued by Tardy Furniture, they were either related to the defendant, or friends with, or had worked with members of the defendant's family. And these are all valid race-neutral reasons. But there were no questions of white jurors who said they had a relationship with defense witnesses. There were no follow-up questions for them. They just said, yes, they knew defense witnesses. 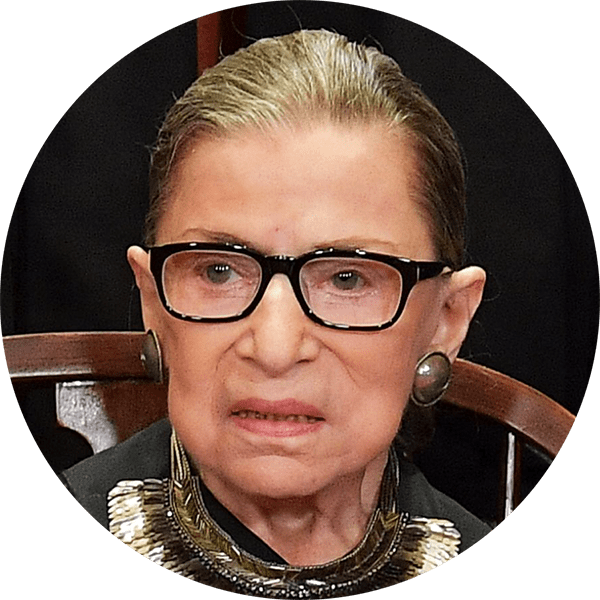 The only — to my recollection, Justice Ginsburg, is Pamela Chesteen, who indicated that she knew Flowers' family but only because she was a bank teller and she'd seen them come in. Again, that was a general question. But we didn't — we don't know what the relationship of the others were because they weren't asked. They said they had a relationship with defense witnesses, but they weren't asked what is the relationship. I — I'm sorry, I misunderstood. Regarding the ones that said they knew these witnesses in the case, Your Honor, yes. And the Mississippi Supreme Court noted that, that they were. And, again, this is part and parcel of the issue with this unique case, is that, you know, 5,000 people in a town, everybody knows everybody, and everybody knew everything about the case. And the Mississippi Supreme Court noted that these witnesses on both sides knew numerous witnesses for both the prosecution and the defense. And that is, of course, but one part of the analysis. You have to look at the reasons that the — that were offered by the district attorney. And in this case, they all support the strikes that were made. Well, the — part of Batson was about confidence of the community and the fairness of the criminal justice system, right? And that was against a backdrop of a lot of decades of all-white juries convicting black defendants. Swain said let's put a stop to that but really didn't give the tools for eradicating discrimination, so you had another 21 years of that, until Batson. And then Batson said: We're going to give you the tools to eradicate that so that the — not just for the fairness to the defendant and to the juror, but that the community has confidence in the fairness of the system. And can you say, as you sit here today, confidently you have confidence in the — how this all transpired in this case? 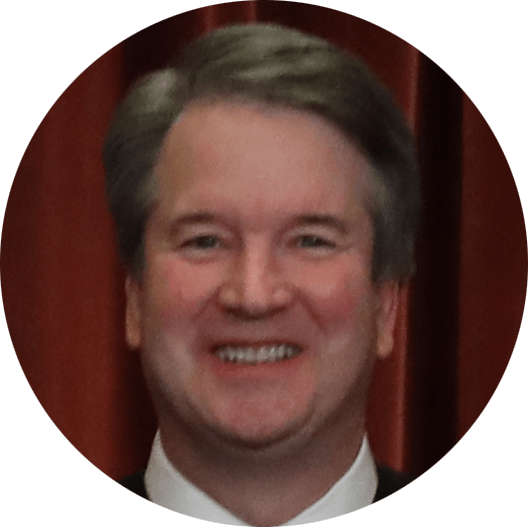 I have confidence in this record, Justice Kavanaugh. I have confidence in the strikes that this district attorney made based on the four corners of this record. I have confidence that, if reviewed with an eye towards what actually transpired, it supports the Mississippi Supreme Court's decision in this case. That I have confidence in. Do you have confidence in how this case was prosecuted? Based on this record, yes, Your Honor, I do. You know, I — one of the first things I did when I found this case was to try to do some research because at least my former state prosecutor's office would have substituted attorneys long before the fifth, sixth trial. Regrettably, I don't — wasn't able to find any formalized guidance on that. But it does seem odd to me that any prosecutor would continue to try a case with this history. And, again, I would agree completely, Justice Sotomayor, that we have an unusual circumstance, an unusual case with these six trials having been all tried by the same prosecutor. But I would resubmit, again, that the decision of the Mississippi Supreme Court in this instance was not violative of Batson and its progeny. Thank you, Mr. Chief Justice. Thank you, counsel. You have four minutes remaining, Ms. Johnson. Unless this Court has further questions, I will waive rebuttal. Ms. Johnson, did you — would you be kind enough to tell me whether or not you exercised any peremptories? I was not the trial lawyer. Well, did your — were any peremptories exercised by the defendant? And what was the race of the jurors struck there? She only exercised peremptories against white jurors. But I would add that the motive — her motivation is not the question here. The question is the motivation of Doug Evans. She didn't have any black jurors to exercise peremptories against — except the first one? In Flowers' sixth trial, the defense struck 11 white jurors and no black jurors. But, as Sotomayor points out, the defense was only tendered a single black juror. Everyone else they had the option of striking was white. But so did the prosecutor, except that one? He struck one — he seated one African American juror, and at the very end struck one white juror. When all of the evidence in this case is considered, just as in Foster versus Chapman, the conclusion that race was a substantial part of Evans' motivation is inescapable, and the Mississippi Supreme Court's conclusion to the contrary is clearly erroneous. Thank you.